ARP Publication changes coming in the Fall of 2018. 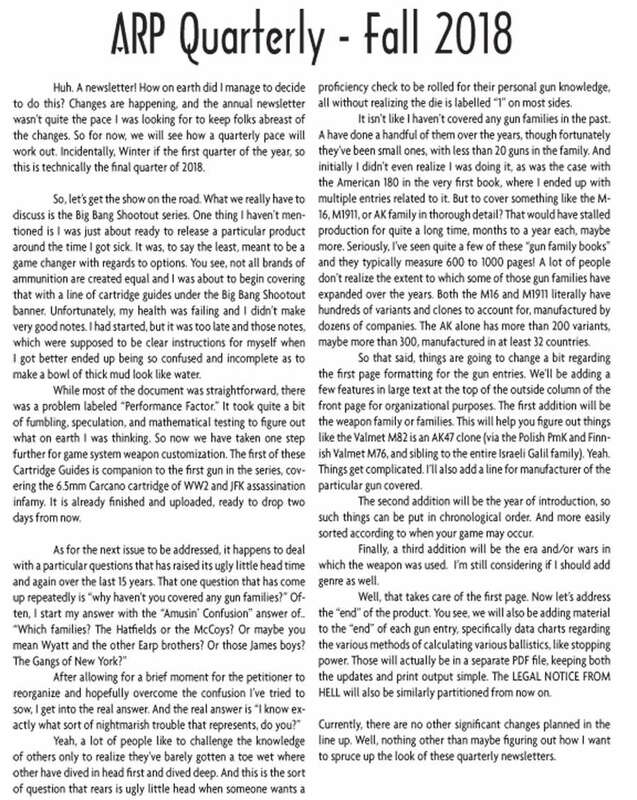 It mostly concerns product alterations in the Big Bang Shootout line, starting with the next new product to be released a few days from now. Also, a little exposition on why we never really did any books focused on specific "gun families" and likely never will. With these various changes in style and production methods, the series can finally truly be on its way.